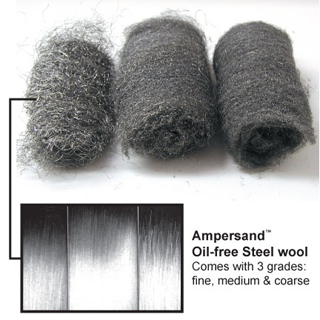 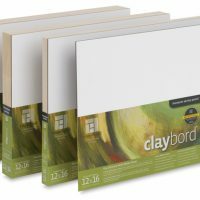 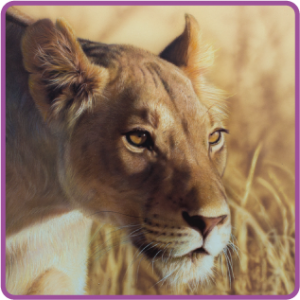 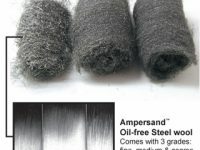 Use the Ampersand tools to work with the Claybord panels and for scratchboard. The Scratchbord Toolkit comes with one each of the tools shown below, a piece of steel wool and a free piece of Claybord for experimentation. 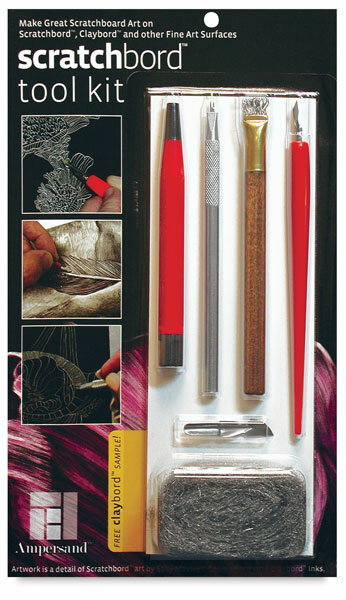 Tools are also available packaged individually. 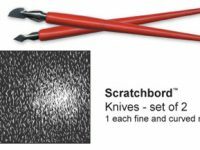 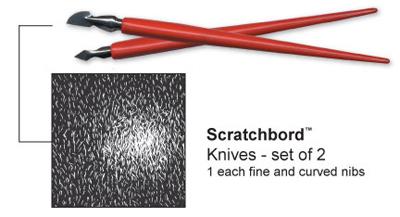 This six-piece kit includes all the scraping and abrasive tools needed to create detail and remove ink from Ampersand Claybord and Scratchbord panels. 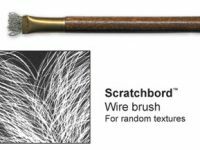 This kit contains two scratch nibs — fine point and curved, with a plastic nib holder, a stainless steelwire brush, a parallel line tool, and a fiberglass erasing brush. 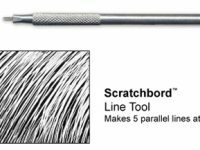 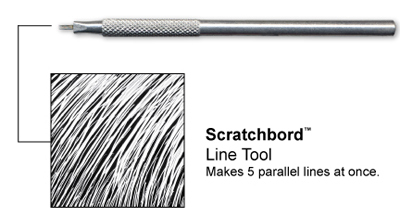 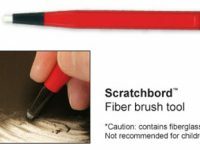 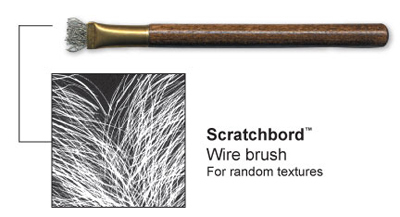 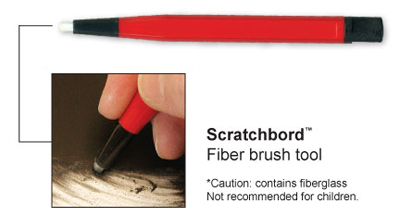 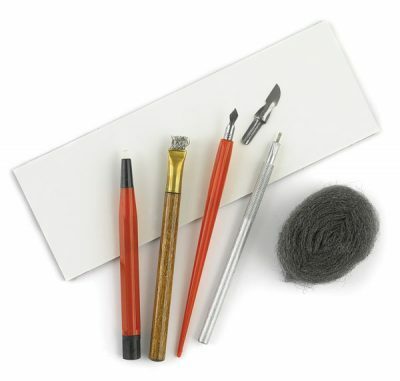 Tools can be used on Claybord, Scratchbord, or scratch art boards and papers.